With the launch of Benrido Collotype Atelier’s new Collotype Academy, scheduled for mid-2017, Benrido has welcomed Joana Durães as the academy’s first student to take part in a pilot training course prior to its opening. As a Graphic Designer based in Lisbon Portugal, we sit down to talk with Joana Durães to discuss her work, interests and what she hopes to gain through her experience as the academy’s first student. Tell us about your work and interests. As a graphic designer, I have been interested in learning the different types of techniques and materials used in printing. In my work, to be able to answer and approach different kinds of projects I think it is important to know and be aware of the possibilities one can take with the medium which they work in. I have been working with different artists and photographers, and since having this interest with visual art I would like to understand the possibilities of different printing processes which I can use in my practice. What interested you about the collotype process? What interested me was the quality of the images which can be created using this process as a result of the continuous tones and depth produced which are unique to collotype. The materials used in printing in Japan have distinct qualities such as the traditional washi papers or binding techniques which are very different to those which I am used to. As a student, what do you hope to learn through this experience? With this experience I hope to learn how an old technique of printing can exist in a contemporary printing landscape. From this experience I’d want to gain the skills and understanding learning from the Benrido artisans to be able to carry out this process on my own. Are there any aspects of the collotype process which you would like to explore and experiment with? I would like to learn the correct way of doing this technique and the correct way to reproduce the photos, but I also want to explore the possibilities of image-making after understanding how the process is carried out in order to explore and experiment with its boundaries and push these limits at a graphic level. Do you have any plans or projects which you’d like to realise after completing the course? I’ve just begun the process of learning and am still at the early stages of my stay but I’d hope to be able to share this technique when I leave, perhaps do a booklet or create an object about the collotype process and my experience. 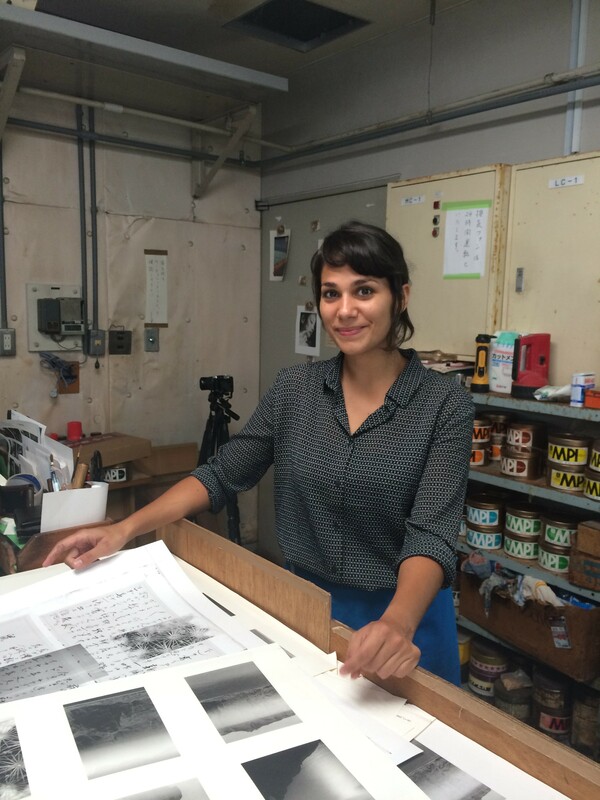 During the month of October Joana Durães will be taking part in a month-long intensive course learning the varying aspects unique to the collotype process. 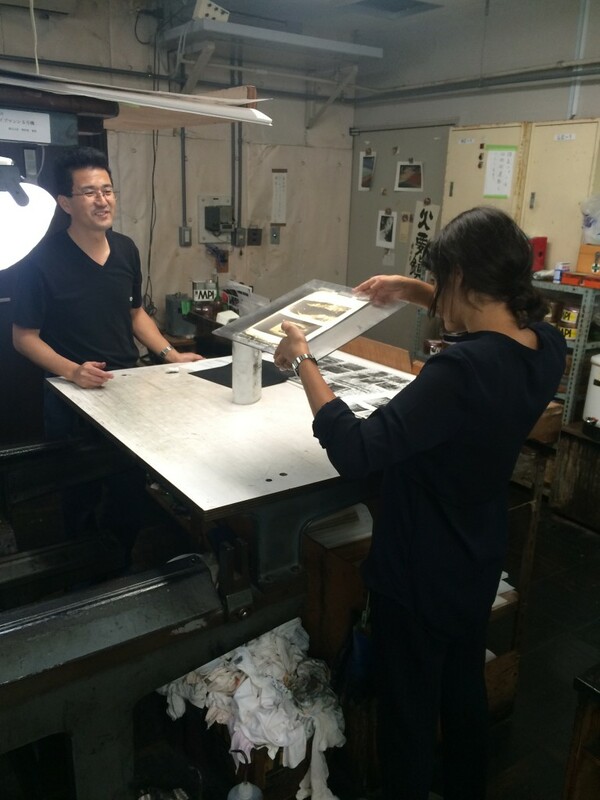 Lead by Master printer Osamu Yamamoto, Joana will be working alongside the Atelier’s artisans helping to develop the Collotype course scheduled to be launched mid next year! Be sure to follow us on Twitter @haribanaward and on Facebook @Hariban.award to hear the latest updates on her journey and to follow along with her progress! Sign up to our email list to stay in the loop!